If you’ve been with me for a while now, you’ll know that my skin has been troublesome for over a year. Out of nowhere I had this really terrible acne bout that to be honest has gotten better over the last couple of months (touchwood), but has still not completely left me alone (sadly)! 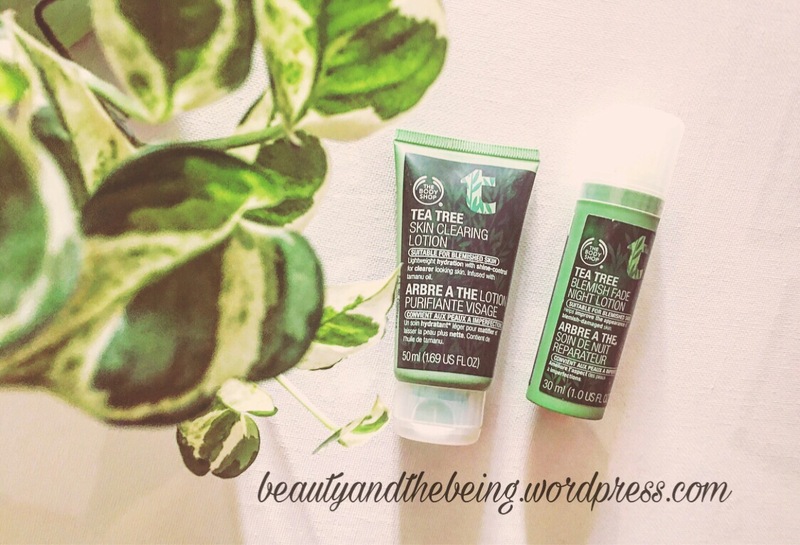 If you’ve ever experienced adult acne, you will know that it’s not easy to treat, and so when I was looking everywhere for answers as to why my skin was acting up & products that could help calm it down & maybe even treat my skin, I came across The Body Shop Tea Tree Skin Care Range. These products have been a part of my skincare routine for months & months now, so I thought I’d share them with you. “This skin-clearing facial scrub combines micro-fine exfoliants with bursting beads to help unclog pores without over-drying. Use a few times a week for skin that feels super clean and instantly smooth. I’ve been religiously using this as a face-wash for the last year & it’s gentle enough for daily exfoliation. 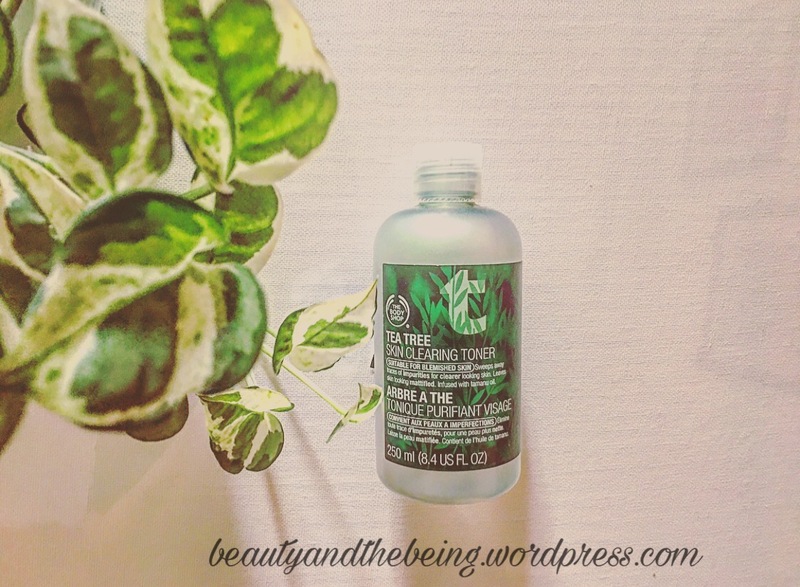 I use it everyday in the morning and follow it up with the Tea Tree Skin Clearing Toner. It smells very fresh & invigorating…. wakes me up & really does what it says- make my skin feel squeaky clean! “This refreshing toner for blemished skin gives a beautifully matte, shine-free finish. This is Step 2 in my skin care routine. I usually shake the bottle to activate the toner and either take a splash on my bare (read CLEAN) hands & tap it into my skin using my fingers or I’ll douse a cotton pad with the toner & apply on my skin. My skin definitely feels tingly when I use this toner & I’ve also noticed it feels dry…like it’s craving some moisture….so if you already have dry skin – beware! “A light, non-oily moisturising lotion for blemished skin. 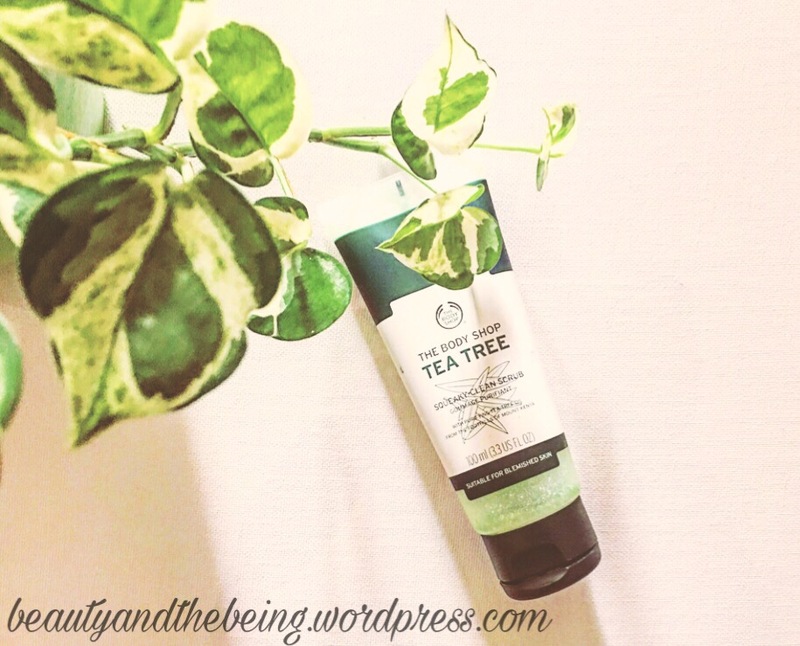 For use after your Tea Tree cleansing regime. 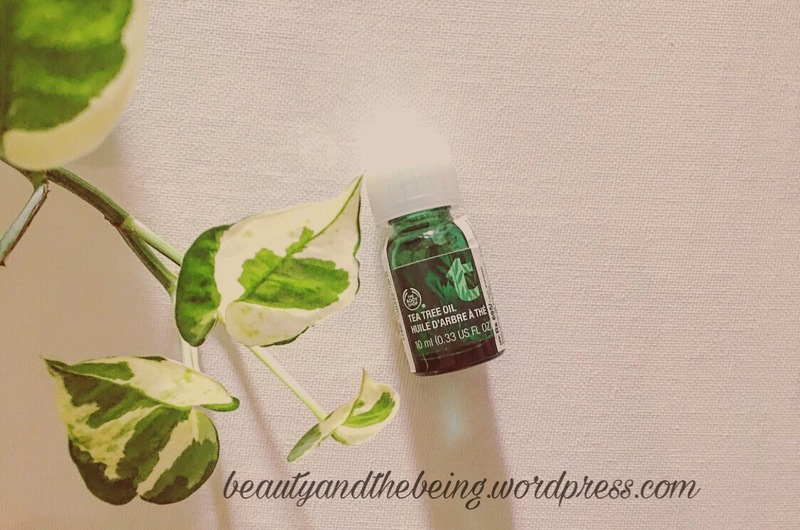 “A lightweight, soothing gel-crème for blemished skin. Step 3 is to follow up with a good moisturiser & give the skin a hydration boost. Both of these lotions are quite creamy in texture & sink into the skin quickly. “Targeted care for blemished skin. Can be used direct on skin. The last step in my daily skin care routine is this oil. I use it over active acne as well as blemishes. I feel it does quite a brilliant job at calming my breakouts & also helps them dry quicker. Personally, I’ve mixed this oil in with my lotions for the day-time & also in my foundation several times & it does work beautifully. 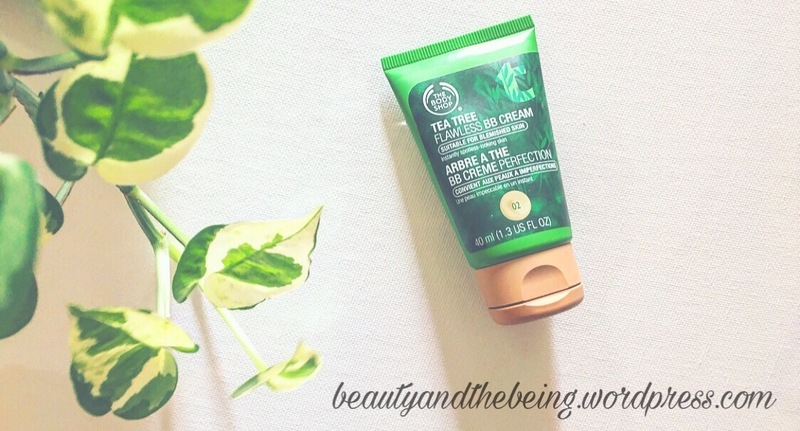 “This instantly cooling face mask cleanses, soothes and refreshes the skin. 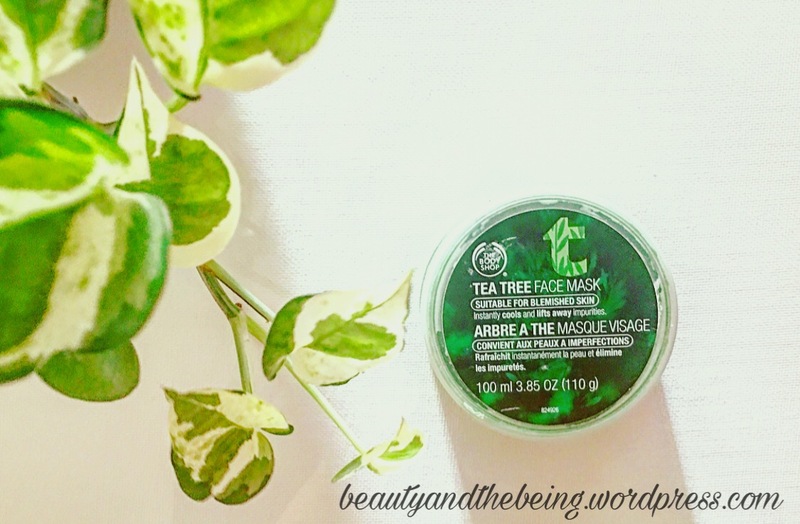 I love this mask for several reasons – yes, it’s instantly refreshing & cooling on the skin… it really soothes my skin & the best part about this tea tree mask is that it doesn’t dry & tug at your skin like traditional face masks. I use it once a week & leave it on for about half an hour. You can either rinse it with lukewarm water or I feel personally for me it works better if I take a face towel, soak it in warm water & then gently rub it off my skin (it helps to exfoliate). If i’m honest, I’m not in love with this bb cream. I use Shade 02 & feel that their shade range is very small so it’s difficult to find a perfect match. Also, I feel the formula to be quite drying & to top that it sticks to dry patches on the skin. One way that this works for me is if I mix a few drops of the Tea Tree oil with it or the Day-time Lotion. Amazing products! The Body Shop tea tree oil really makes me feel good on my face… All my acne on my face vanished and my skin looks healthy now. 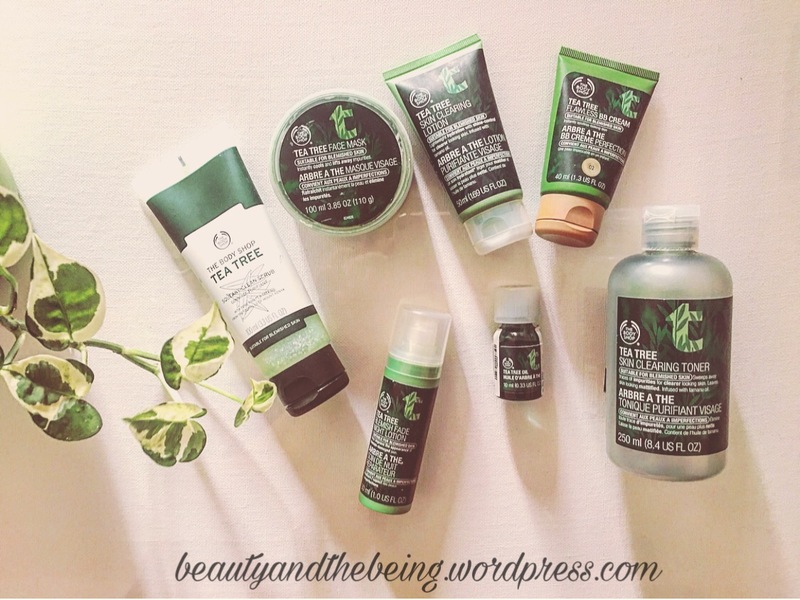 These are really wonderful products that work for skin care naturally. Thanks for sharing informative article.